Disclosure: I received a complimentary Student Guide and Answer Key from Memoria Press through Schoolhouse Review Crew in exchange for an honest review. 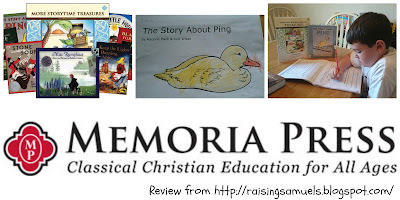 Literature is an important part of my homeschool so I was super excited to get to use the First Grade Literature Guide and Answer Key Set from Memoria Press. The set we used is called More StoryTime Treasures and it included unit studies for books such as Billy and Blaze, Stone Soup, Miss Rumphius and The Story About Ping just to give a few examples. We were provided with a Student Guide to be used by one student, and also an Answer Key. 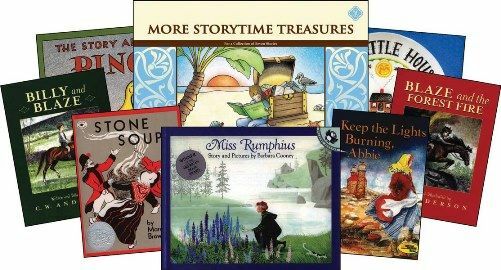 There is also a StoryTime Treasures Student Guide available that has other incredible books for first grade level as well, and the Answer Key is for both StoryTime Treasures and More StoryTime Treasures. The first grade level has units that will last about 3 weeks per story. Memoria Press also has Literature Study Guide and Answer Key sets for other grade levels from first to twelfth grade, and Poetry for Grades 3-12. These units would take longer as they are longer stories than a first grade level. For example, 2nd-9th grade units usually take about 6-7 weeks to complete. 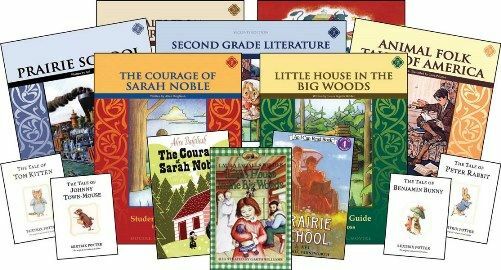 The first grade level has both the StoryTime Treasures and More StoryTime Treasures that would last the entire school year for literature. The other grade levels include multiple Student Guides, one Student Guide and Answer Key per book. The sets are a nice option because it includes everything you will need, from the Student Guides, Answer Keys, and the books themselves. Another thing about this amazing homeschool curriculum is that the work is already done for you and there is an Answer Key! There is no worry of putting a unit together. It gives you the time to relax and enjoy these incredible stories with your child, and to me that is priceless. There is also an option to purchase all of the required books for reading for a specific grade, or to select which Student Guides and Answer Keys you would like to study with your child. The sets are put together to cover a whole year of literature learning and are broken down by grade level. My sons and I worked on a unit in More StoryTime Treasures Student Guide for the book, The Story About Ping. This is a beloved story in our home and one that has been borrowed from the library multiple times! There were three lessons for this unit and we broke it up into about two days a week, over the course of 3 weeks. On each of these days, we focused on the unit for about 30 to 45 minutes. This gave us plenty of time to discuss the story and work on the answers together without causing too much stress. The work in the Student Guides included writing a word and using it in a sentence, to learning about vocabulary in the story, and what the meaning of the word is. This was wonderful because it was our first time using our Children's Dictionary. I had my son guess the meaning of the word, and then he would look it up to see if it was correct. He loved this idea! We also learned about the setting in the story, which was China. We looked up the capital, what language they speak and what continent it is on. My son looked in a map to identify the river discussed in the book. He also had to color in the flag for China. We also had to do tally marks to show how many ducks were in Ping's family, so there was a bit of math involved also. The other lessons in this unit included filling in the blank and answering reading comprehension questions from the story. My son also got to draw and imagine what his boat would look like if he had one, and my youngest who is four wanted to color the picture of Ping. I enjoyed that we were able to enjoy the story together, and we all worked on the answers together as as a family. This helped both of my sons with their reading comprehension, and also helped my oldest with his writing, spelling and vocabulary. We were able to learn about a new country and even get a math lesson in! The other units in More StoryTime Treasures Student Guide include some of these same fill in the blank and vocabulary but also include picking out the answer (fill in the circle questions), art activities, teaching how to use a and an effectively, writing out a recipe, discussion of seasons and an introduction to sentence types, nouns, verbs, rough drafts, and how to use apostrophes. 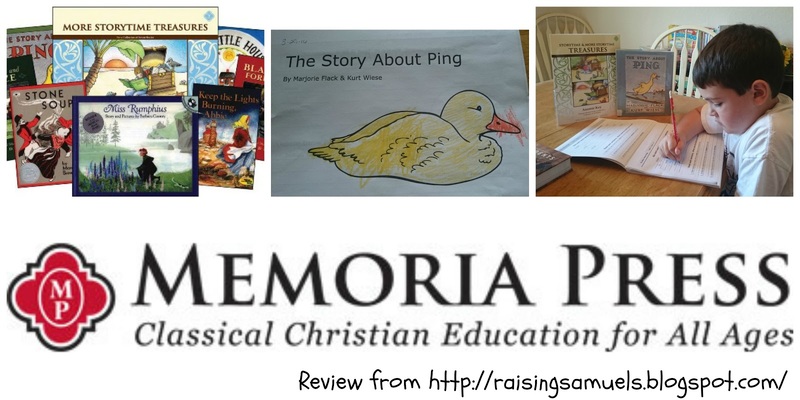 I would highly recommend any of these literature Student Guides and Answer Keys from Memoria Press because it has your child learn the love of these amazing stories, while also learning skills like vocabulary, spelling and writing. I very much enjoyed the unit study concept of this because it also included other subjects such as art, math and social studies. I also liked the Answer Key. It was a place I could make sure I knew the right answer, and Answer Keys seem to be very helpful for older grades when the work and stories become harder. We had such a splendid time reading the story and being silly, that the work got done very quickly. I look forward to finishing up these lessons this year and introducing my oldest to the stories in the Second Grade Literature. This looks like a wonderful resource! Thanks for sharing this resource with us all at Family Joy Blog Link Up Party. Have a wonderful week. This sounds wonderful! I have littles but I've been eying curricula for the future, and Memoria is one that I've been curious about. I love the idea of unit studies, and this is not a curriculum I had thought of in that context before so I'm glad you've shared this! Thanks so much for sharing this at Booknificent Thursday last week. I'm sorry I'm late getting around!